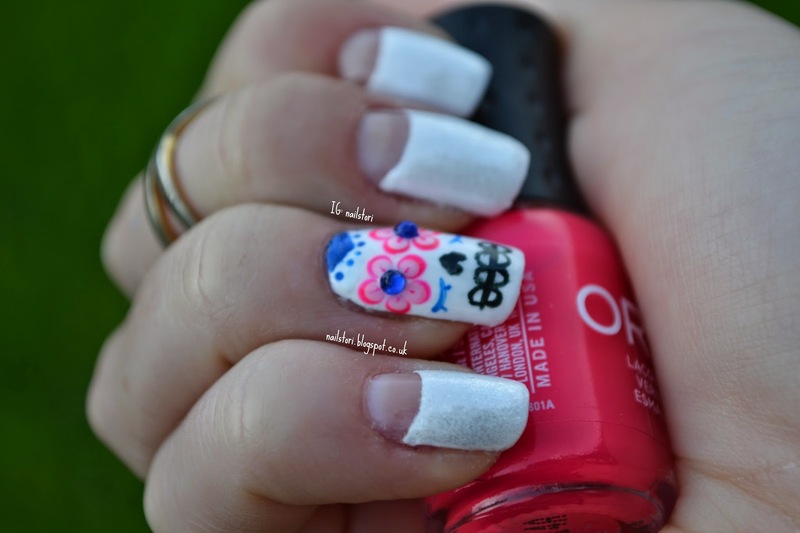 This was part of the 30 day nail art challenge; day 16 – accent nail. I saw this design on the talented nail tech’s instagram @marikonail1214. I absolutely loved the design so gave it a go myself. Polishes used were; Sally Hansen – White on, Essie – Pure Pearlfection, the eyes; Orly – Passionfruit, Essie – Fiji, and for the rest; Wynie – 698, L’oreal – Mystery. I love this mani because it is so different to anything else I would normally do and it was actually really fun do to! Will continue to share my favourites from the challange.